I love how a new season can bring with it the opportunity to start anew – to change things up a bit. However, knowing what it is in style or on trend can be daunting – especially if you aren’t ready to make a drastic change. Thankfully, this fall’s hair and beauty trends fall in a pretty broad range so we have plenty of room to freshen things up on our own terms. I’ve rounded up my favorite styles, cuts and looks for the new season in hopes of giving you some inspiration, and maybe a little confidence to try something new! Get ready for a comeback! As with so many things this season – what was old is new again. Remember those Banana Clips and thick headbands you used to wear back when? Well go pull them out from the dusty drawer you threw them in because they are back! Don’t be afraid to mix it up with these accessories – trade out your muted headband for a large neon one (also very in this fall) and wear it over your ears. Instead of wearing one barrette pair it with a few more and stack them on top of each other. Or, try stuffing all your hair into a large banana clip and wearing it higher on your head! Need more inspo? Check this site out for a few more ideas. Low ponytails are super in style this season. Get that baby as low as it will go while keeping the sides sleek and straight. Pair this style with a bold middle part to shake things up a bit. The hair scarf – my favorite trend this season! There is no easier way to class up a simple look than tying a beautiful hair scarf around your ponytail or bun. We are seeing both long and short scarves so don’t be afraid to mix things up and have some fun with this style! Here are a few options I found online from Anthropologie (I have these and LOVE them), Amazon and J.Crew. 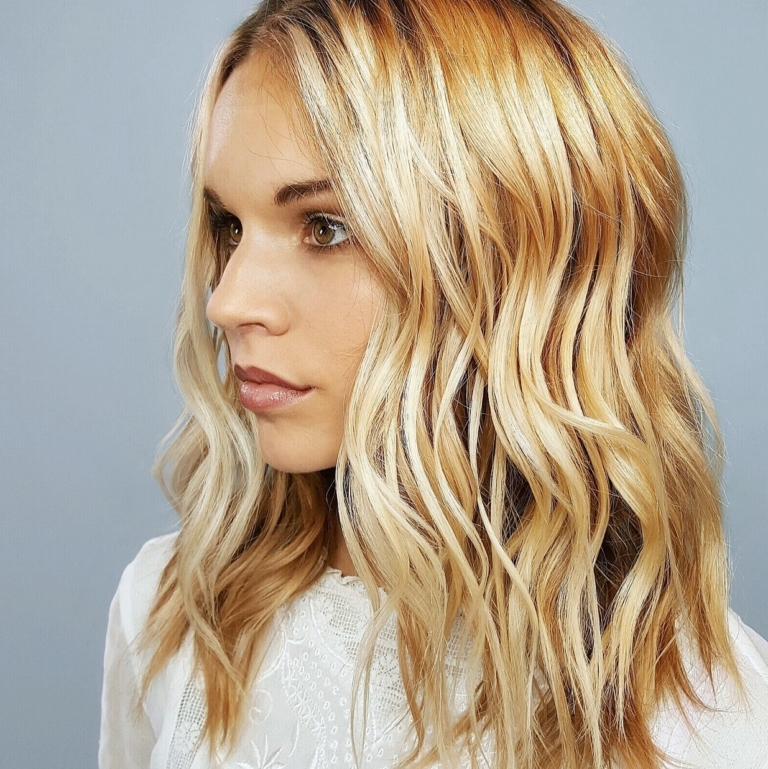 Effortless big waves are always in style and they are still going strong this season. Make sure you are using a heat protectant spray (Garbo’s has two great options: one that can speed up blow drying time and another that has a bit more hold to it). If you want to avoid the heat altogether, try braiding damp hair and letting your strands dry to achieve a similar look. 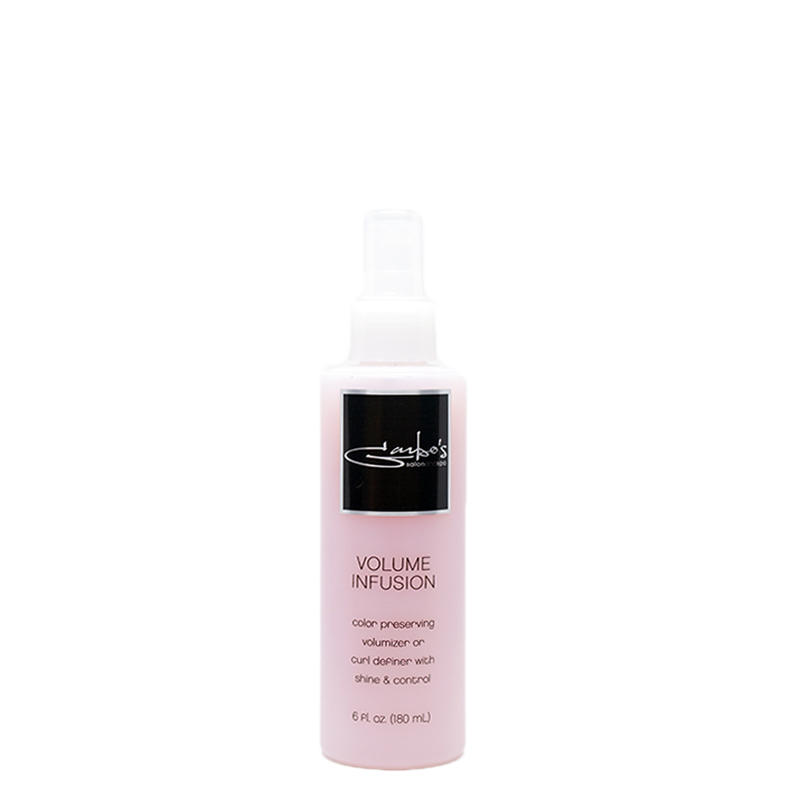 Try Garbo’s Volume Infusion to really nail the natural look – this leave in spray will add a little bit of volume and definition while making the hair super soft and shiny. The Wash and Go cut – the cut that allows your hair to be itself. Let the hair dry naturally to take full advantage of this low maintenance ‘do. The Bob – Another wash and go style that is cut just below the chin. This style doesn’t have too many layers so it is perfect for you low maintenance ladies out there. If these aren’t enough for you, check out a few more options here. Deep Chestnut Brown – The perfect fall color for your hair. No matter the skin tone, this color will look amazing on you and with anything you wear this season. Light Understated Brown – Not quite as dark but not close to blond either. This color is much more understated and is perfect for you if you want a more natural look. Rose Brown – With just a touch of violet and pink, this color strays away from the boring. 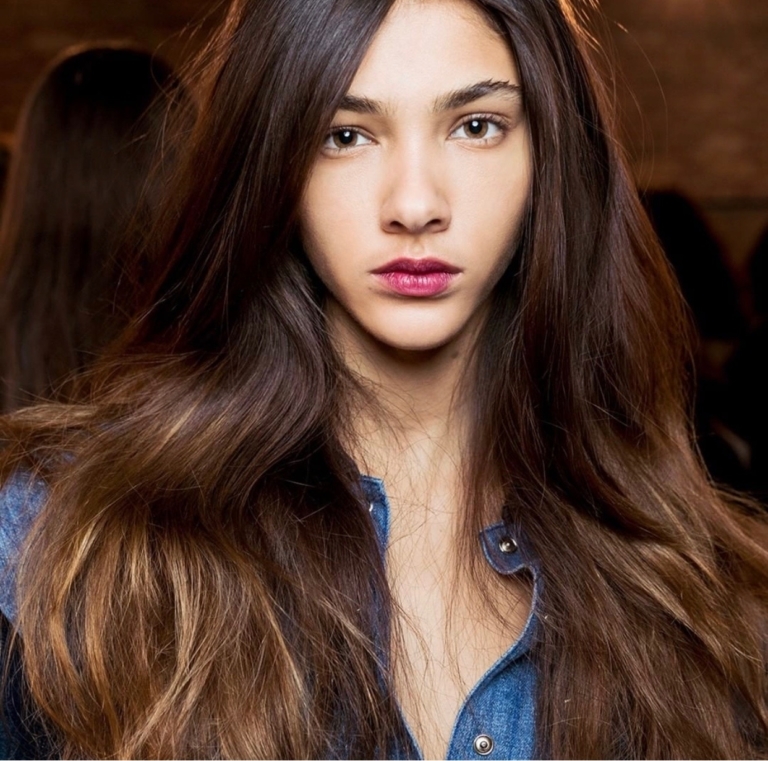 This different take on the classic brunette color will give you the change you are looking for this season. Freshening up your style for a new season doesn’t have to mean a drastic change. The range of this Fall’s hairstyles, cuts and colors is pretty broad so finding your next ‘do while still staying on trend is easier then ever. However, if drastic change is what you’re after that is totally “in” as well! Whatever you are ready to try this season you can count on Garbo’s to help. Bring in your wild and crazy ideas and put our stylists to the test – we are confident you’ll walk away looking amazing and feeling your best!